2017 Folger Gala. Photo by Yassine el Mansouri. 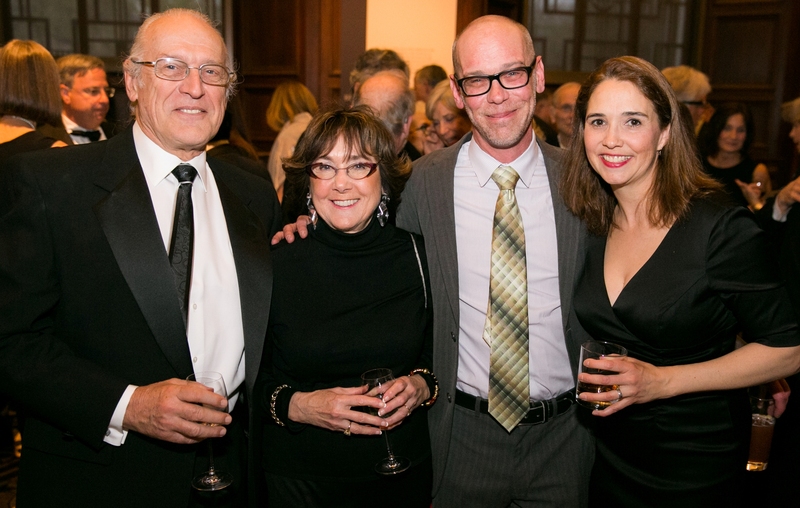 The Folger Shakespeare Library's 2017 Gala was a resounding success! With the generosity of our sponsors, guests, and donors, we raised nearly $350,000 to benefit all areas of the Folger Shakespeare Library, the ultimate resource for exploring Shakespeare and his world! We are grateful to our Gala Co-Chairs, Nora and Jarrett Arp and Darcy and Andrew Nussbaum, as well as our Gala Committee. Their dedication and passion helped make this Gala a most wonderful tribute to the 25th anniversary of Folger Theatre, the vibrant centerpiece of the Folger’s public programs.We also extend our thanks to our Honorary Co-Chairs, the British Ambassador and Lady Darroch. Nearly 300 guests joined us for this festive occasion.They enjoyed cocktails in the Great Hall while viewing 500 Years of Treasures from Oxford, an exhibition spotlighting Corpus Christi College, one of the oldest of the 38 self-governing colleges at the modern University of Oxford. Entertainment in our magnificent Elizabethan Theatre was provided by Louis Butelli, Celeste Jones, Ty Jones, Cody Nickell, Kate Eastwood Norris, Ian Merrill Peakes, Karen Peakes, Kathryn Tkel, Holly Twyford, Craig Wallace, and Erin Weaver. A special treat was the appearance of magician Teller by video who gave our guests a rare opportunity to hear him speak. The wonderful evening finished with a delicious dinner in the stunning Reading Rooms.